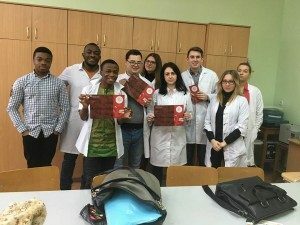 Ternopil State Medical University students are always involved with important social problems and issues, actions and events. 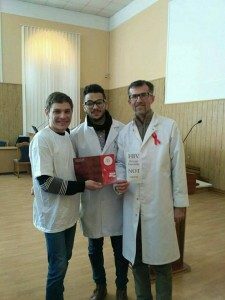 Each year, together with other community activists of our city they offer consultations and hold meetings on the occasion of World AIDS Day. 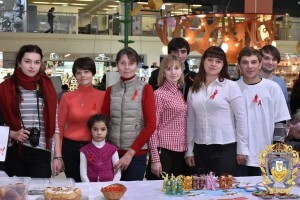 World AIDS Day is held on 1 December each year. 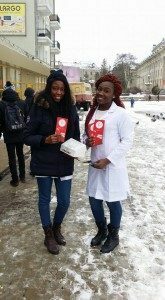 It raises awareness across the world and in the community about the issues surrounding HIV and AIDS. 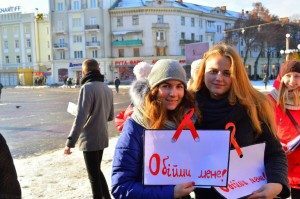 This year, on 1 December Ternopil State Medical University Student Council together with Ternopil regional branch of the Ukrainian Network “People living with HIV” organized a campaign “Hug me.” Coordinator of theis project was Tetiana Petrunko. 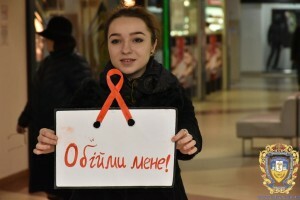 Young people wanted to draw public attention to the problem of HIV and AIDS, and fight discrimination of patients with this disease. Participating in the event were Ternopil State Medical University volunteers Iulia Hranchuk, Natalia Soboltф, Oksana Tytska, Pavlo Pazin, Dana Pshenychna, and Natalia Gulda. 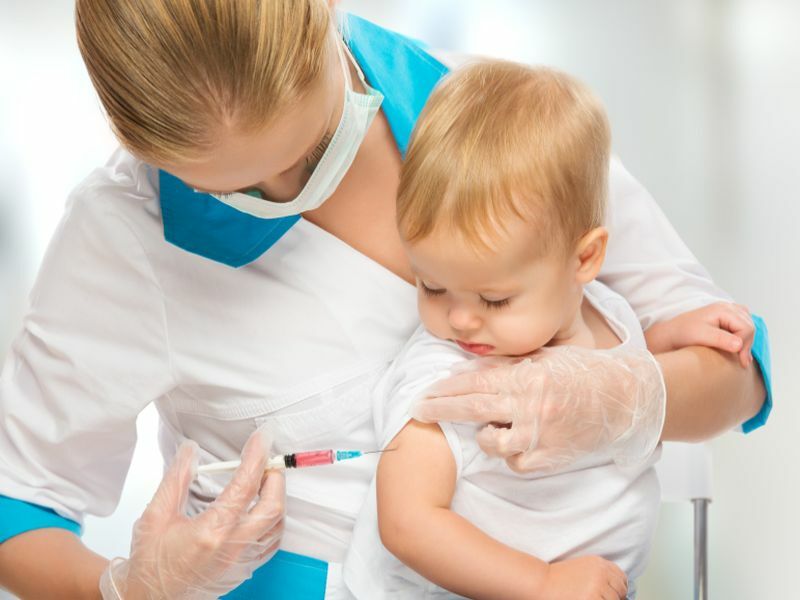 The future doctors sought to dispel the myth that this infection can be picked up through hugs, communication or handshake. 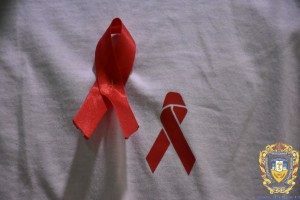 They also set up a mobile clinic in which anyone could have a free and anonymous test for HIV. 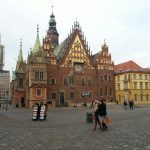 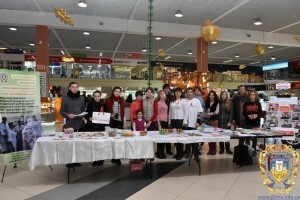 On the same day, three TSMU students Tetiana Petrunko, Natalia Gulda, and Pavlo Pazin held a similar event in the Podoliany shopping center, where they informed Ternopil residents and visitors about this dangerous infection. 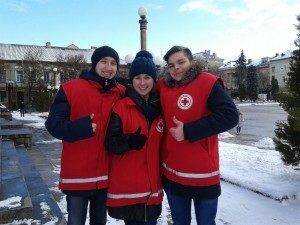 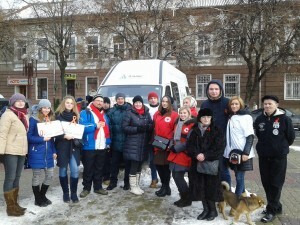 Volunteers from Red Cross of Ukraine in the Ternopil region Marta Vitenko, Iulia Kotsur, Iryna Masliak, Chrystia Smachylo, Mykola Barta, and Roman Rotko also joined the events. 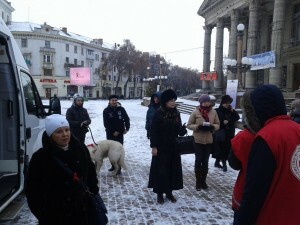 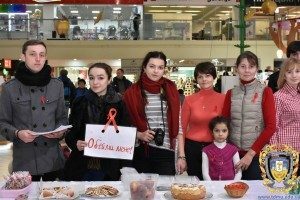 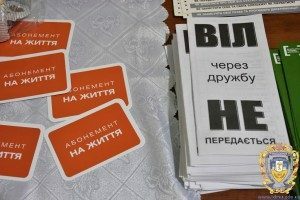 On 1 December they, along with members of the NGO Dzherela and Ternopil regional center for prevention of AIDS organized on Theater Square an event to inform the public about the dangers of HIV / AIDS. 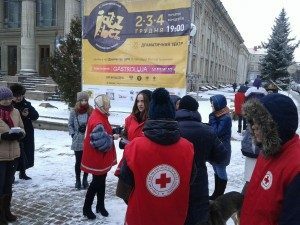 Red Cross volunteers handed out informational booklets and talked about HIV / AIDS, its ways of transmission and prevention. 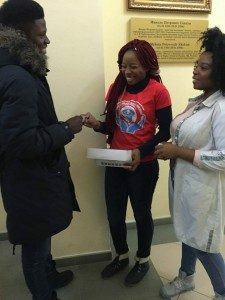 They also offered anonymous tests for HIV / AIDS. 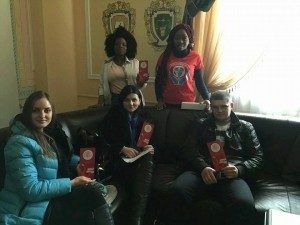 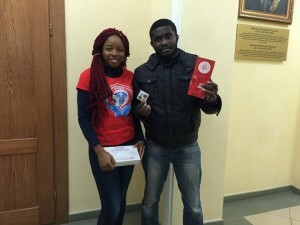 Ternopil State Medical University international students, members of the NGO Medicare and Social Welfare Initiative (MEDCASOWI), prepared information materials on human immunodeficiency virus. 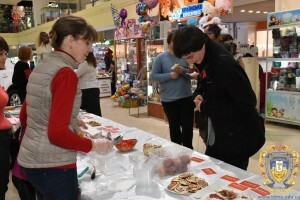 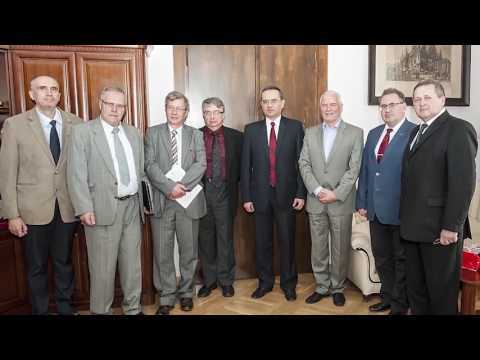 They talked with Ternopil residents, consulted, and advised on how to maintain health. 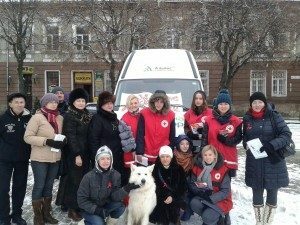 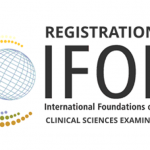 This organization is already well known for its charitable initiatives and activity.